Found one file extension association related to ActivePerl Pro Studio and 1 file format developed specifically for use with ActivePerl Pro Studio. 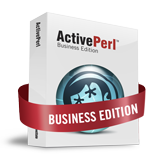 ActivePerl Pro Studio is used to develop and debug apps written in Perl programming language. Get everything you need to develop, debug and deploy professional Perl applications in a single, easy-to-budget subscription. ActivePerl Pro Studio includes the latest releases of Komodo IDE and PDK Pro, plus one year's access to Safari Books Online. Software licenses are permanent and include all updates, and upgrades for one year. If you need more information please contact the developers of ActivePerl Pro Studio (ActiveState Software), or check out their product website.